Interested in joining a team for a mission trip? Here are some links if you would like to join teams that are planning to head to Central America this summer. http://www.mostministries.org/1319_el_salvador July 19-27 This is the NID LWML team. 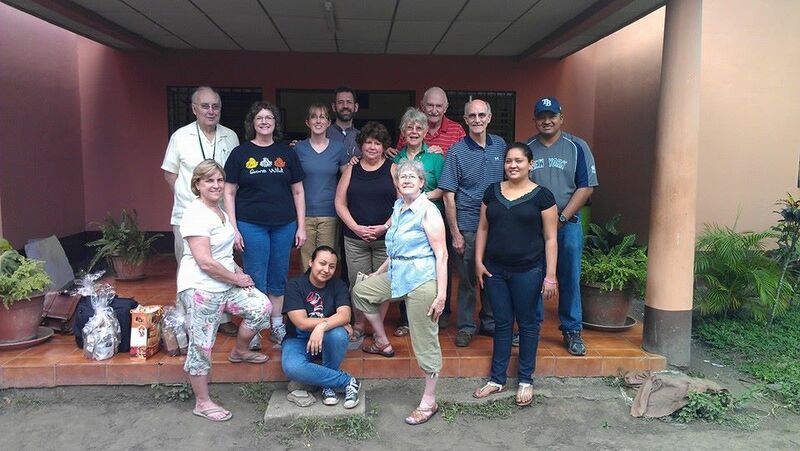 The 2012 Costa Rica mission trip was a success with the combination of LWML members of the Chesapeake and Michigan district. There were 14 ladies involved with Women's Bible study and Children's Ministry emphasizing themes of Health and Hygiene. Pastor Edmundo Retana and his wife, Betty, hosted our MOST Ministry team at the two mission sites in the city of Cartago and the outskirts of San Jose. The Costa Rican people were very gracious and hospitable as they welcomed us at church, neighborhoods and homes. The children were fabulous and full of energy each day, as they were lead by a dynamic team. The crafts lead by the team were a success as the Costa Rican women demonstrated their artistic skills. Worshiping and praising with hearts, hands, and songs filled each day of the mission trip. For more detailed information, please check out the following link: http://mostcostarica2012.blogspot.com/. Let's plan another mission trip for the next year. Betsy Sohn, Susan Sohn, Karen Vulgaris, Carol Harris, Linda LaFleur, Teresa Tester, Toni Killinger, Julie Schafer, Carol Schmidt, Lois Miles, Jenna Hoots, Mary Bullard and Most Team Leader: Sandy Hardies.